Welcome to the Physics department at Brampton College. As the smallest of the Science departments we pride ourselves on our welcoming and co-operative working atmosphere, where the students at every level get to know each other and the staff in the department well. 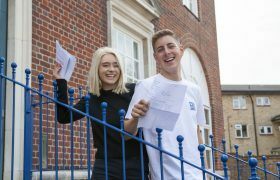 The level of individual attention we can therefore offer has led to excellent results averaging 40% grade A and 75% grade A*/B over the last four years. 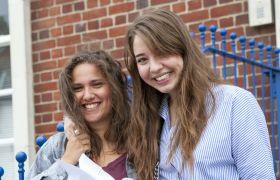 Our main aim however is ensuring that all students meet their targets for admission to their chosen University courses. Physics is a fascinating and stimulating area of study and demands creative thinking. There are many questions that remain to be answered about the Universe in which we live. For example: What exactly is ‘space’? Why must we forever travel through time in one direction? What is mass, and why do particles have the masses they do? Why is there no antimatter in the Universe? What are Dark Energy and Dark Matter? If you are interested in these questions, then maybe A level Physics is for you. Physics is not a soft option, but success is immensely rewarding. Students are expected to work hard and are closely monitored. They are supported through weekly small group tutorials where they can come and discuss individual problems. Use of past examination materials, both theoretical and practical are an important aspect of the course. The first year of A level (AQA) develops familiar themes from GCSE. These include electricity, mechanics, materials science and wave motion. In all cases the emphasis is on placing these topics on a more rigorous mathematical and theoretical footing and, importantly looking at their applications and implications for society. 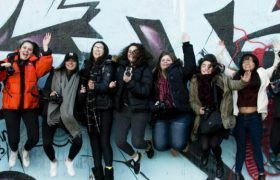 The year concludes with an introduction to more cutting edge field of particle and quantum physics allowing students to appreciate some of the most recent research work being carried out at the Large Hadron Collider(LHC) at CERN. Whilst some of these ideas can be a little novel and certainly counter-intuitive, they underpin so much of our modern world and current research they form an important part of any physicist’s education. In the second year there is further development of mechanics dealing with circular motion and oscillations, together with a detailed study of a powerful area of physics – that of fields: gravitational, electrical and magnetic. It is at this point that many ideas learnt on earlier course begin to tie up. We then move on to consider radioactivity and nuclear physics together with a study of heat and gases. The course concludes with a survey of the ‘big ideas’ in physics over the last 500 years, the discoveries that have had a profound influence on our understanding of the world, leading finally to an introduction to Einstein’s theory of Special Relativity. They will even learn how the famous equation E= mc² is derived and used.The final examinations are synoptic which means students must develop an overall view of the subject matter they have studied and understand how all the different topics are connected and interrelate. Practical work can illustrate a new concept and also helps to develop the skills of data collection and critical analysis. Therefore throughout the course there is a wide range of experimental and investigative activities which give the opportunity to practice and improve practical work as well as giving meaning to the theories studied. Computers and data logging equipment are used to collect and analyse data from experiments. These skills are continually assessed leading to an additional practical competency endorsement of the final result. Additionally about 20% of the marks on the written papers will be available for questions dealing with practical work, data analysis and evaluation. At GCSE we deliver Edexcel International GCSE in Physics in conjunction with the other science departments who work closely together. This is a linear course with two end of year examination papers. Practical work, forming an integral part of the course, will develop skills of planning, data analysis and evaluation which will be tested in these papers. There is however no practical test, or internal assessment task to do. The Physics Department is housed in its own fully equipped laboratory with an extensive range of equipment (including data logging) close at hand, which students are expected to use regularly. Teaching and learning methods employed on the course are varied. As well as normal lecture, discussion and question and answer type activities a variety of multimedia methods will also be employed. Use will be made of videos, computer modelling software, data logging apparatus, and the Internet. Students are be expected to take part in discussions and class presentations, which will mean that theyhave to work cooperatively with others members of the class. A lot of the activities will involve problem solving. This is a very important part of the course and students are expected to use knowledge and understanding of physics to solve problems that are set in novel situations or unfamiliar contexts. This powerful skill is invaluable in all branches of science and in many other careers and professions. Making connections between the different areas of Physics is an integral part of studying physics. This synoptic element of both A2 papers shows how scientific models develop and draws comparisons between different concepts showing that there is often an underlying pattern in seemingly dissimilar topics. Students apply their understanding to a wider variety of contexts so they can appreciate how physics has developed and is used in present day society. This is an aspect that students can find intimidating. Much emphasis is placed on equipping students to draw on skills from across the subject in the second year of the course, and for those students resitting. The department provides an extensive set of resources for our students. As well as textbooks and notes, they can access feedback on test performance, links to wider reading and online tutorials, worked solutions to self-assessment questions, and copies of all the departmental resources through the college computer network. Through this tool students have access to an extensive range of self-help materials. The Physics Department is affiliated to The Institute of Physics and students are strongly encouraged to become student members of the Institute which offers a wide range of resources as well as support and career guidance to students considering a career in science or engineering. 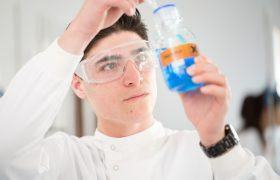 We promote the ‘Headstart’ taster course scheme for students considering entering science or engineering degree programs. We encourage students to enter for the British Physics Olympiad (BPhO). The examination-based competition has a dual purpose: to challenge and reward the best physicists in British schools and to select the UK Physics Team for competition at international level. Tim has been head of department for the last ten years and has developed his role in the college to that of Director of Studies . 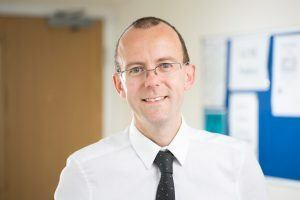 He has also been Head of the GCSE and International programme in the College and an examinations officer in a previous post. He teaches on the GCSE, AS, A2, A1 Physics Courses and has been an A level Physics Examiner. 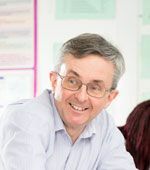 Neal studied at Balliol College, Oxford and moved to London after graduating, working first for another sixth form college, eventually as Director of Studies, and then joined the Tuition Centre as its first Physics teacher and Director of Studies. He wrote the Penguin revision textbook Masterstudies in A level Physics and continues to enjoy teaching A level students as well as organising college timetables and management. Before joining the teaching profession, Paul Conyers worked in aerospace and the computing industry and then the City for several decades mostly in the fields of quantitative finance and risk management. He trained at the Institute of Education and worked at several schools in London, before joining Brampton College. 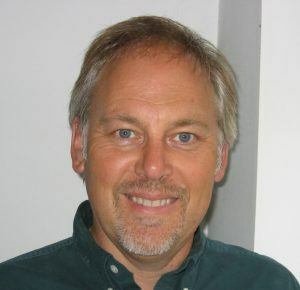 Paul holds degrees in Physics, Mathematics and Computing. Engineering: Automotive, Chemical, Civil, Electronic, Structural, Mechanical.